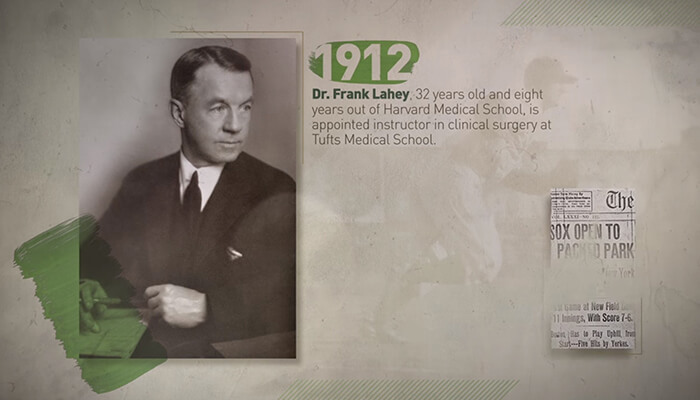 Lahey offers a number of clinics for heart and vascular patients. Cardiovascular disease is one of the most common causes of disability and death in the world. Our goal is to help patients stop heart disease before it develops, particularly in people with genetic lipid disorders, diabetes, a family history of heart disease or other cardiac risk factors. For patients who have had strokes or heart attacks, we aim to prevent their disease from worsening. At Lahey Hospital & Medical Center, we feel that the best way to accomplish this is through our Preventive Cardiology and Lipid Clinic, where experts can concentrate on each patient’s individual lipid problems. The Clinic was established more than 25 years ago to evaluate and treat patients with problems relating to cholesterol and triglycerides, the main fats (or lipids) in our diet and in our blood. Over the years, an overwhelming amount of evidence has proven that reducing cholesterol levels in the blood – with diet, exercise and medications – can lower both the risk of a first heart attack (primary prevention) and recurrent cardiovascular problems in patients who already have coronary disease (secondary prevention). For decades, statins have been the mainstay of medical therapy for high cholesterol. We work with patients to optimize their treatment, including those who have not been able to tolerate statins or who have experienced side effects while taking them. Fortunately, there are now alternative or supplemental treatments for high cholesterol. These new treatments include PCSK-9 inhibitors, for which we have had a high rate of success getting the medications approved. 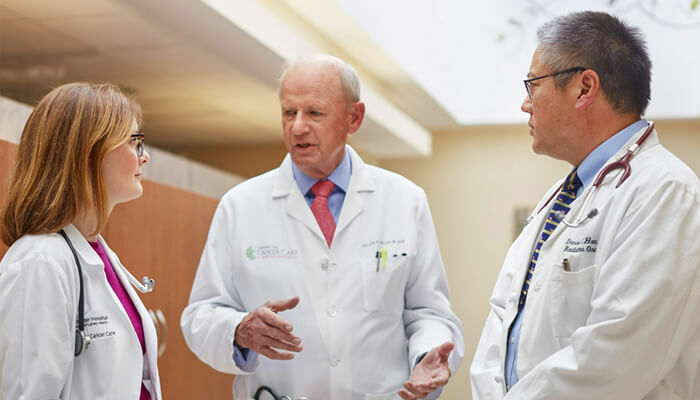 Our cardiologists are also working collaboratively with primary care physicians to optimize care for patients with both heart disease and diabetes. With new therapies available, these high-risk patients can dramatically lower their risk of future heart problems. The Clinic meets each Wednesday morning and includes senior staff physicians, physicians in training, and nurses. Each patient’s cardiac risk is individually evaluated, and when necessary, nutritional guidance is provided by registered dietitians. Regular follow-up and management – either in the Clinic or by the referring physician – is then established. Combined with the management and/or elimination of other cardiac risk factors such as smoking, high blood pressure, stress, diabetes and cardiac rehabilitation, the Preventive Cardiology and Lipid Clinic plays a major role in health maintenance and disease prevention. The Clinic is also a multidisciplinary teaching and research center. From the beginning, our physicians and patients have participated in clinical studies that have contributed to the understanding and benefits of statins. The cardiovascular risk evaluation and management services offered by our physicians through the Clinic have also provided major teaching opportunities for cardiology and endocrinology fellows and residents – the future preventive cardiology and lipid experts. The Preventive Cardiology and Lipid Clinic meets in the Cardiology area (5 East Clinic) of Lahey Hospital & Medical Center, 41 Mall Road, Burlington. Most patients are referred by their primary care physicians, but others are self-referred. If you wish to make an appointment, please call our Appointment Office at 781-744-8000. The Arrhythmia Device Clinic at Lahey Hospital and Medical Center, sometimes referred to as the pacemaker clinic, is a specialized outpatient clinic where patients who have implanted cardiac devices are routinely followed. Over the years, implanted cardiac devices have grown in their sophistication from the simple pacemaker of years ago, to include pacemakers and defibrillators, that monitor and intervene on cardiac rhythm, as well as newer devices used mainly for the detection of cardiac arrhythmia. Patients first visit the clinic usually one month after having such a device implanted. Thereafter, in person visits may be once or twice yearly. In addition, the great majority of these devices are followed from home as well, known as remote monitoring, using the patient’s phone or internet access. Some of the older pacemakers are followed every few months over the phone. 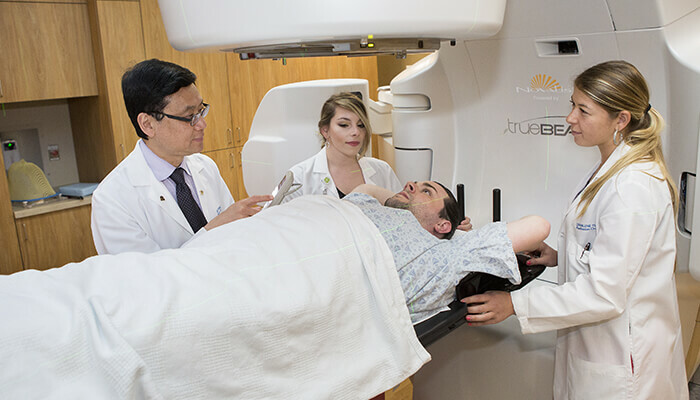 The device clinic is a strong connection between patients with pacemakers or defibrillators and Lahey Hospital. Technical information is taken from the devices either in person, or monitoring from home, as well as clinical information from the patients, and relayed to their physicians, usually their cardiologists. A close relationship often forms between our device patients and our staff of nurses and cardiovascular technicians, and we are an indispensable link between patient and specialist. Furthermore, the clinic acts as an ongoing source of support and education for patient regarding their devices and heart rhythm. We currently follow over 2,500 patients with devices, with over 2,600 in person visits and well over 4,000 home checks performed annually. 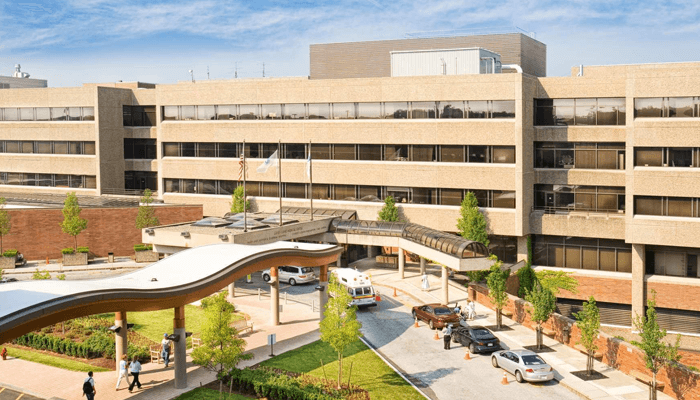 Lahey Hospital & Medical Center has been at the forefront of cardiac rhythm device implantation and management for years endowing us with experience and resources to follow patients with such devices efficiently and expertly. The Lahey Hospital Arrhythmia Device Clinic is led by Dr. Florence M. Parrella, a senior staff electrophysiologist and expert in arrhythmia device optimization along with a team of nurse specialists and pacemaker technologists. For further information about the Lahey Arrhythmia Device clinic please call Debra Brait, RN at 781.744.8863 by following the prompts for the Pacemaker Clinic. Heart failure is a major health problem, and in fact, is the most common diagnosis among Medicare patients being discharged from the hospital. Too often, patients are trapped in a vicious cycle of progressive symptoms. 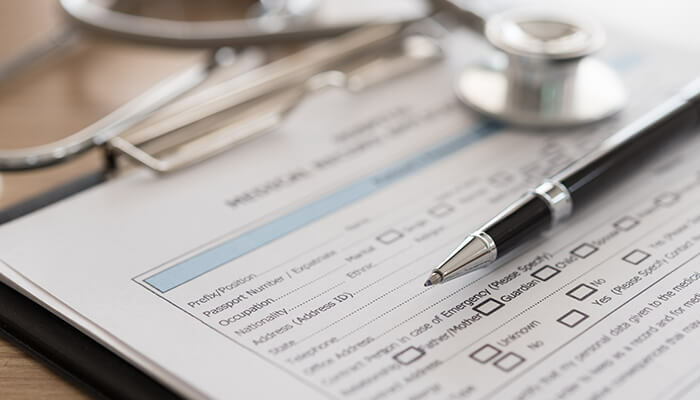 Many patients seek medical help only when they are too sick to be managed as outpatients, prompting emergency hospitalization. The Lahey Heart Failure Clinic was developed to interrupt this vicious cycle for patients with moderate to advanced heart failure. 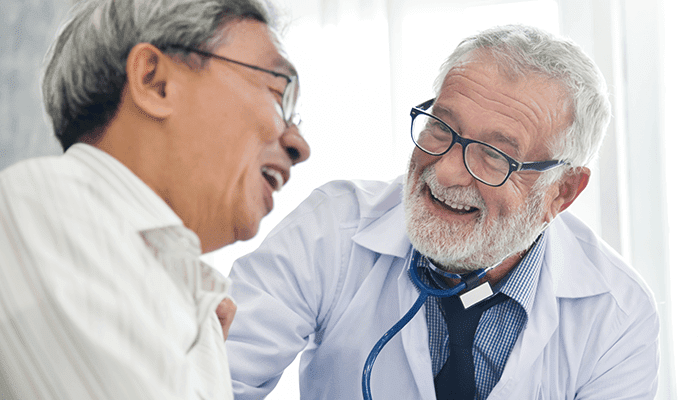 The goals of the Clinic are to increase patients’ functional capacity and their sense of well-being, and to reduce readmission for heart failure. Patients are thoroughly evaluated by a cardiac nurse practitioner specializing in heart failure management. A multidisciplinary team is available to meet each patient’s unique needs. Aggravating conditions related to heart failure, such as ischemia, are identified and treated, and pharmacologic treatment is optimized. In addition, patients receive intensive education about heart failure, proper diet, and exercise. Frequent telephone follow-up outside the Heart Failure Clinic is also utilized. Patients are seen only at the request of referring physicians. Physicians may contact Nancy Todd, RN, CS, NP, at 781-744-8840. The role of the Anticoagulation Clinic is to assist your Lahey physician in the management of your Warfarin (coumadin). Staffed with specially trained pharmacists, registered nurses and support personnel, the Anticoagulation Clinic staff will follow up on your blood test results, help troubleshoot possible causes when your lab results are out of range, and manage anything else that relates to your Warfarin (coumadin) therapy. We currently manage about 5,000 patients and we strive to provide exceptional care to each and every one. Our clinic works collaboratively with you and your physician to maintain a therapeutic INR. Another way we make the process easier for you is through our Point of Care Clinics located at 31 Mall Road in Burlington or in the Cardiology Section at Lahey Medical Center, Peabody. At Point of Care, each patient will meet with a nurse and the INR test will be performed via a finger stick. You will receive your INR results and dosing instructions in just a few minutes. 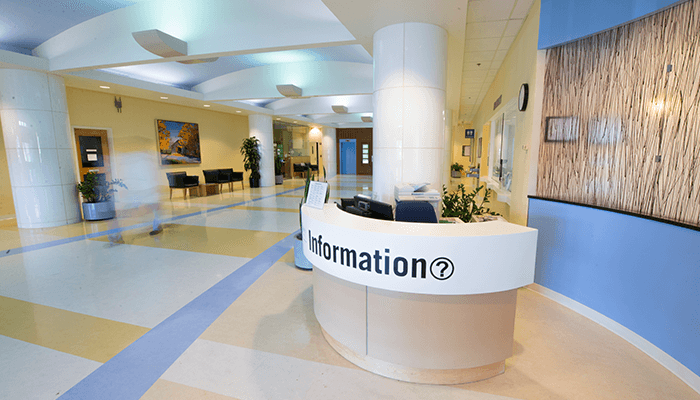 If you have your INR done at a lab or hospital other than Lahey Hospital & Medical Center, just call and we will send a standing order (prescription) to you or the facility you will be using. The Anticoagulation Clinic staff looks forward to working with you as a partner in your healthcare. If you have any questions or concerns about the management of your anticoagulation treatment, please do not hesitate to contact us. Our clinic number is 781-744-8607.